We have a private lot that only has 9 available spaces until five o'clock Monday through Friday. After five o'clock and on the weekends there are at least 40-50 spaces that may be utilized. We invite you to plan your next celebration or affair at Hamrock’s Restaurant. We will do everything we can to accommodate your wishes and will host almost any type of event. *May contain raw or undercooked ingredients. Consuming raw or undercooked meats, poultry, seafood or eggs may increase your risk of foodborne illness. It was a lovely Easter Sunday brunch with my love. We had a great time. The ambience was lovely, the service was great and the food was very good. Jeremy was our server and he was awesome from beginning to end. Wait time even with reservations was quite long again and other than water we were not approached by a waiter so didn't know whether to go straight up to buffet table or not. We also were not given any desert information without going to find a waiter to ask. Our second Easter lunch here. Food was good though so thanks. Terrible service. Server was absent. Very few pieces of lamb with grissle, very rare, mall pieces of ham full of fat. No one tending the buffet. Food was delicious but this is the second time I went and service the pits. So slow and no checking in on us, refills. 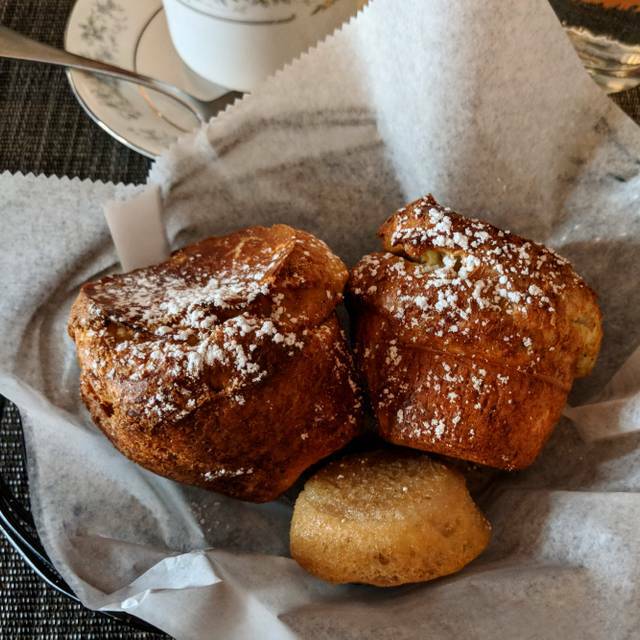 The best thing were the popovers. They were hot, crispy and delicious. Sadly, the meal went downhill after that. The duck was tough and chewy and the skin was not crisp. It was advertised as l'orange but was served with barbecue sauce. When I asked the waitress, she brought the orange sauce - too late and it wouldn't have helped the chewy duck. The fried rice was tasteless. My friend ordered salad and appetizers. The brussel sprouts were good but had a sauce on top that lacked flavor and made the brussel sprouts mushy. Her crab cakes were served cold. She sent them back and they were hot and delicious. All in all, the food was so mediocre, I would never return. We attended brunch and it was just fine. We took our 5 year old son and were a bit disappointed there wasn't a children's menu so we ended up just taking home his pancakes since he could only eat one. The service was slow; it was about 15 minutes before a server came to our table. The food was fine, but nothing special. Pancakes were doughy and the fried chicken and waffles were ok, but lacking in flavor. We probably won't go back for brunch but would be open to trying for dinner. Really, the only issue we noted was how long it took for our food to come out. It all tasted just fine and our server was OK. The ambience is above the norm (an old restored home). Great atmosphere, the service was very good and the menu has some great choices. The food was good. It is a great special occasion spot. Service was great - thanks, Jeremy. The food was good and the menu shows a variety of good choices. Not the best I've ever had - but better than good. The "vibe" is wonderful. The staff, the little bar, the ambiance is a real neighborhood gem......loved it and will go back for sure. The total package is worth it for sure. Overall I think Hamrocks has the potential to be a great place to eat. The decor is great, the menu looks wonderful, and the ambiance is warm and inviting. You really want to love this place and I hope they get there because I'd love to come back. Execution on the other hand needs work. Everything on the menu looked awesome and it was hard to choose. Unfortunately almost everything came out bland or overcooked. Started with Fried Green tomatoes and deviled eggs. Eggs were great; the tomatoes seemed like something out of the grocery freezer. Even the black bean puree didn't liven it up (NOTE to chef, please discover CUMIN and Adobo). The salmon entree was overdone and under-seasoned; the confetti rice was flavorless. Wife had the pork loin which was dry and tough. Daughter 1 had the Meat Loaf which was very good. Daughter 2 had the duck a la orange which was perfectly cooked to temp and was really quite good; wish I'd ordered that. I expect we'll try them again on a non-tuesday and give it another shot. Maybe they'll have a liquor license by then (beer and wine only). Would have liked to order another drink and dessert. 10 min gap so I got up and closed check . 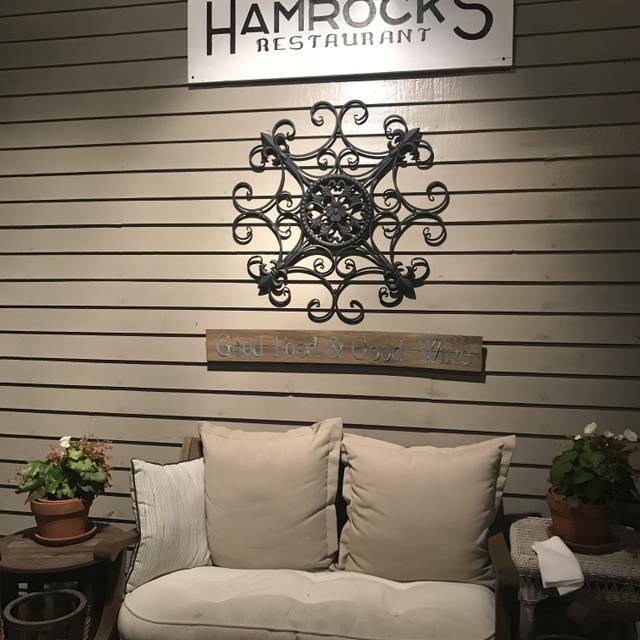 This was me and my husbands first time dining at Hamrock’s and everything was outstanding! My server, Candice, was friendly, very knowledgeable about the wine and beer list, and gave us excellent recommendations. I can’t wait to go back for the delicious brussel sprouts appetizer and crab cake entree. The crab cakes had so much crab and very little filler, and the remoulade sauce paired so well them. The homemade ice cream is awesome too! Highly recommended for everyone! Hamrock’s has many unique food options to choose from and gluten-free options. We ordered the delived eggs and crab and shrimp tostada appetizers which were great for sharing and had excellent flavor. Our server was attentive and recommended the wine flight which was delicious as well. 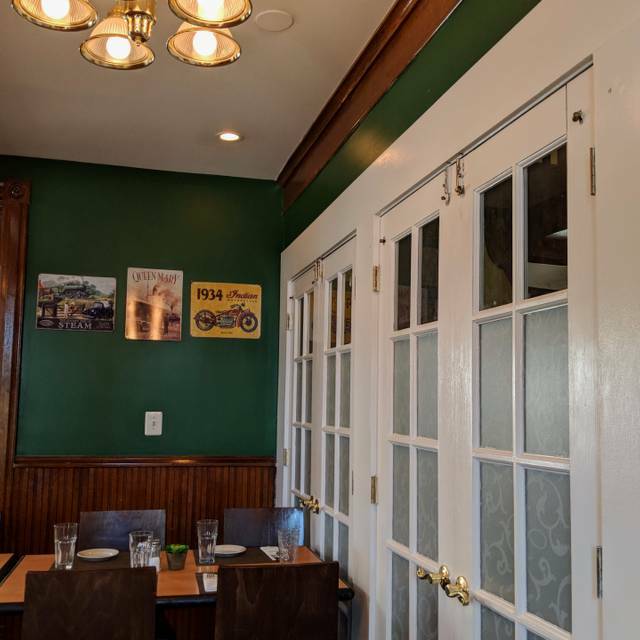 Our family had brunch at Hamrock's, located in a lovely historic home in Fairfax City, VA. We go there frequently and always have a great time. The food is good and the service in very gracious. The house is cool and the food is good, but the service wasn't great. I waited after finishing my meal for 10 minutes and no one ever came to check on me. I ended up having to leave cash on the table because I had to leave. Very disappointed. Website made the food look much better than what we were served. Service was less than professional. 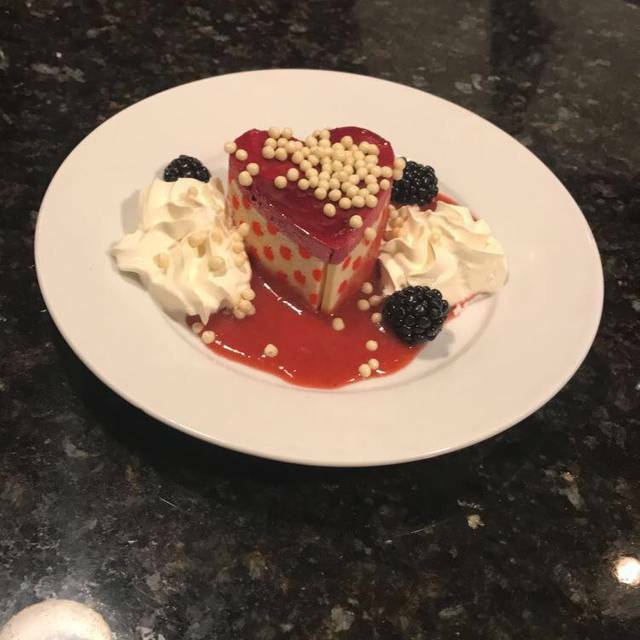 We were rushed to order, even though we expressed an interest in relaxing with our cocktails, and dessert menus were plopped down on our table even though we were less than half way through our main course. Lighting was bright, no ambiance, and the noise level was VERY loud, no music, just people talking. My husband and I very much enjoyed our dinner. However, beware of sitting in the dining area with the old church pews as seats. I sat where two were pushed together and my leg was pinched. I now have a 2 inch bruise/blood blister! Great food and service for regular diners, even though the restaurant was hosting a large event. Neat old home. Definitely going back! Very slow dinner service from start to finish on a busy Friday with little attempt to rectify. Besides that, the menu is a good attempt at Southern cuisine that is just too ambitious for the kitchen. Dishes were overdone, over-sauced, and over-wrought. Comfort food for safe diners, at best, that’s better than average. Not appetizing for experienced eaters. Assume the brunch is a better and safer bet. 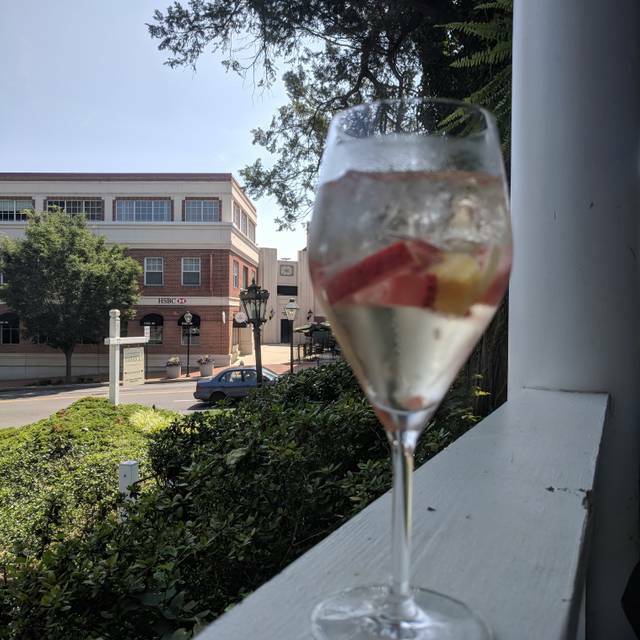 It is always nice to dine in a location that is sensitive to GF issues and has a nice variety of GF options (rather than feeling like “the exception” - as we do in other restaurants that “accommodate” GF patrons), at Hamrocks, GF is the norm ...thank you, for that!! Much appreciated!! Crab cakes were delicious - no extraneous fillers! Crab-stuffed shrimp with saffron risotto was delicious!! Fried chicken dinner - my GF-daughter’s favorite dish was fabulous - as always! The Brussels sprout appetizer - wow! Was delicious!! Wish there were more restaurants that treated GF as mainstream...until then, Hamrock’s stands alone, in Fairfax, for being the “go to” place for a great GF menu with a lot of choices! The food was not super creative, but most of us enjoyed our dinners. I had the salmon (just sort of thin, overcooked and boring, where I had hoped the sauces would really be a key feature), while others had the filet and crabcakes (reported to be very good). We appreciated the comfortable seating and not-very-noisy atmosphere. The clearly labeled GF and other options were also very much appreciated. The wine options were very customer-friendly. Great setting! The noise level is very high; the table that they wanted me and a friend to sit at was much too small and was directly behind a door that opened and closed many times. We both got the Baked Stuffed Shrimp Risotto, and it was absolutely fantastic. We were blown away. The wine selection was very good. Most importantly, they were very knowledgable and helpful regarding gluten-free choices. I would recommend Hamrock’s to everyone, but especially to those with gluten-free dietary needs. 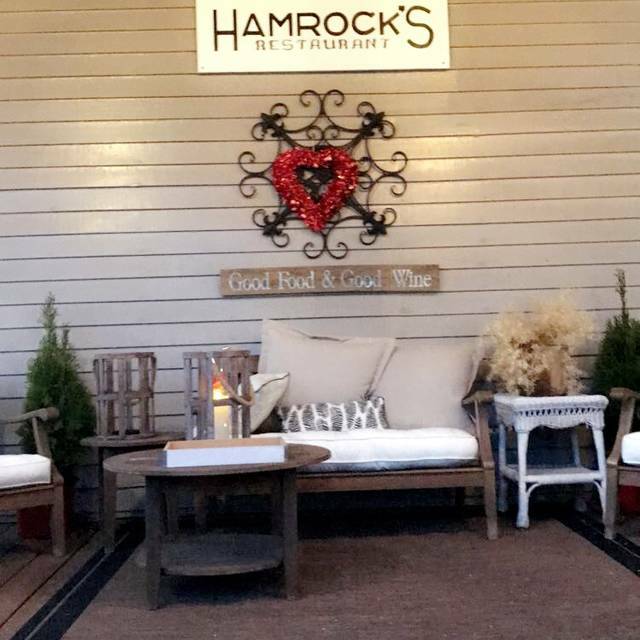 Hamrock's offers a cozy atmostphere in a historical building and superior quality food choices. 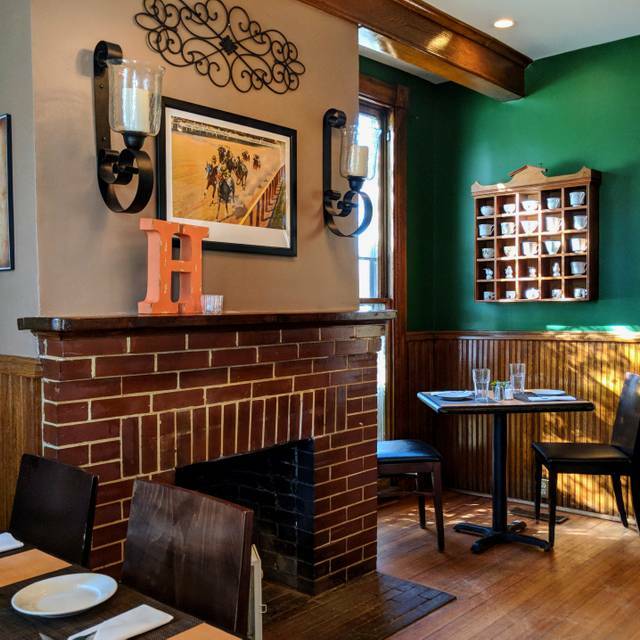 Of particular note, Hamrock's offers many gluten free options that are not available at other restaurants, including delicious gluten-free crab cakes and fried chicken. This is an undeniable treat for those who need to avoid gluten. I will return in the spring to eat on the delightful outdoor porch. This is without doubt the best food I've experienced at any restaurant in the Wash DC area. Reservations are necessary and can be done online. Highly recommend. Hamrocks is excellent. Very cozy, the service is excellent, and the food is really good! We were visiting from out of town and had to choose a restaurant online. Didn't know what we were really going to get. It was excellent! If we're ever in Fairfax again, we know exactly where we'll be dining! Food was so delicious. Service was exceptional. The historic setting was charming. Definitely would recommend Hamrock's! Dining experience was overall fair. Enjoyed the atmosphere and service but I felt my food could use some improvement. I had the Thai Steak salad. I believe the preparer forgot to season the steak and the salad frankly looked and tasted like something one would dump out of a bag of salad from a grocery store - could not taste any of the seasonings. The glass of wine however, was fine - I had a Cabernet Franc. My wife’s meal was fair - she had crab cakes with a glass of Riesling. We’re on the fence about returning, but it won’t be our first choice when dining in the city. Perfect for a group dinner, food and service were both awesome. Overall we had a very nice time for dinner here. I had read some reviews about service and food, and was a little concerned because we had never been here before, but overall it was a lovely place. Is it a Michelin star place? well no, but we had a 3-course dinner for under $100 (2 people including tax and tip) with decent food and personable service. 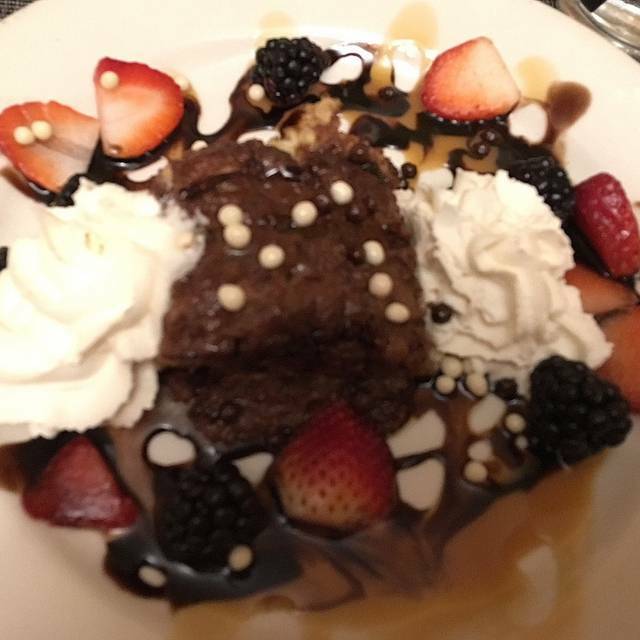 The desserts were especially memorable in terms of food. Yes there were slight waits for things, and yes we had to ask for salt/pepper/sugar etc that one would normally expect to be on the table, but everyone was friendly and helpful when we asked. The place itself is a quirky & charming house converted into a restaurant, so some table placements are unique, but this is the type of place you go if you want quirk & charm. Note: While I know it is not their fault, they only have a license for beer/wine. No full bar, which was kind of a bummer. Hamrock's food is excellent, but my dining companion and I experienced a bad service night on our last visit. The restaurant was quite crowded on a Tuesday evening, but there were only TWO servers for the entire restaurant! Service was abysmally slow, but our meal was quite good. The bread basket to start has an unusual assortment - all good. The brussel sprouts were crispy and just a little spicy. 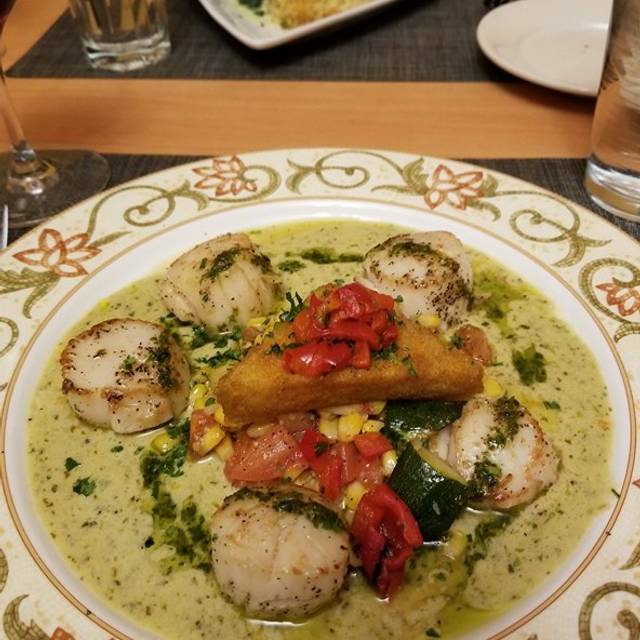 Scallops with vegetables and crispy polenta were superb - one of the best scallop dishes I've had. The decadent chocolate cake is quite rich - very definitely shareable. Our server was pleasant and apologized for the slow service. She even comped 50% of our entire meal! I will go back again, and hope that management will do a better job of staffing the restaurant. A warm and friendly restaurant. Excellent service and good value. This place is consistently amazing on the quality and taste of the food. I am a discriminating foodie and chef from NOLA, and Hamrock's is the place to go for great food in Fairfax, VA. The food at Hamrock's, as well as the service, is outstanding. Bar none, this is the best place to dine in Fairfax, VA.
We went for lunch on a beautiful day and sat outside on the patio. They had a Restaurant Week menu which was delicious and very reasonable. Hamrock's is one of our favorites. We are never disappointed. My wife and a friend had lunch and were delighted with the service, friendly staff, and of course the great menu to choose from. They spent most of the afternoon enjoying the atmosphere and conversations. This was my first time here. And it most likely will be the last. It has a charming interior, small, and the tables are very close together, but it’s quaint. I was there with a friend for brunch. My rice crispy French toast was barely warm when I got it and the inside was mushy and not cooked. I requested sausage with it and was served bacon. The “fresh fruit” even had some brown spots on the honey dew. My friend ordered poached eggs with potato pancakes and fresh fruit. The portion size was very small and the same went with her fruit… Sour, hard, and turning brown. Our waiter was less than attentive. Our brunch entrées were 14.95 each… Not horribly expensive but mediocre and small portions. Not good for the value . Great place for brunch, food was excellent, great service and very reasonably priced. Will definitely come again. Hamrock’s never disappoints. A big thank you to the staff for making my wife’s birthday so special! They kept a gift I dropped off the evening before and brought it out for my wife with her cake. She was so surprised! The cozy interior was inviting and the food was excellent as always. Thank you again Hamrock’s!